Ventura County Community College District Board Vice Chair Arturo D. Hernández was honored with the Latino Leadership Award during the Pacific Coast Business Times 2017 Latino Business Awards celebration, Thursday, July 20, 2017, at the Crowne Plaza Ventura Beach, Ventura, CA. The award recognizes individuals from leading industries in the tri-county area who have outstanding records of success in business and community service. 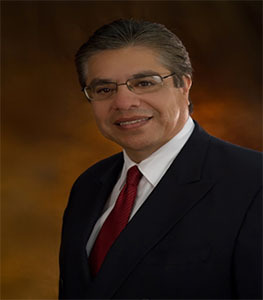 Collectively, Hernández has served as an elected board member of the Ventura County Community College District, Oxnard Union High School District and the Rio School District for 26 years. He has dedicated his life to improving the quality of education, advocating for students from elementary school to college. "I realized the value of education at a young age and feel privileged to serve the people of Ventura County," stated Hernández. "I thank the Pacific Coast Business Times for this honor. The people of this county are very dear to me. This is where I live, grew up and raised my children," he added. "Congratulations to Vice Chair Hernández for this well-deserved honor," stated VCCCD Chancellor Greg Gillespie. “His commitment to student access and success and support for education in Ventura County is evident in his many years of service,” added Board Chair Bernardo Perez. Hernández represents Area 5 of the VCCCD that includes Oxnard, Oxnard Shores, Mandalay Bay, Silver Strand, Hollywood Beach, Hollywood by the Sea, Channel Islands Harbor, El Rio, Nyeland Acres, Del Norte Area, Oxnard Plain, Strickland and a portion of Naval Base Ventura County Port Hueneme. He is a native of Oxnard and a lifelong Ventura County resident. The Ventura County Community College District is a member of the 114-campus California Community College system, and serves more than 50,000 students annually. The District’s three colleges- Moorpark, Oxnard, and Ventura- offer programs in general education for degrees and certificates, transfer to four-year colleges and universities, career technical education, and provide opportunities to engage in co-curricular campus activities. For more information, please visit www.vcccd.edu.